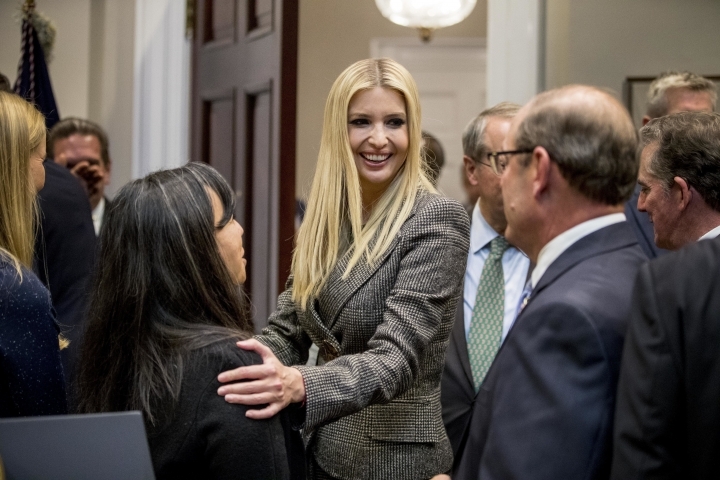 WASHINGTON — Republicans and Democrats on Capitol Hill will be scrutinizing Ivanka Trump's personal email use in the White House in light of new revelations that she sent hundreds of messages about government business from that account last year. On Tuesday, the Republican chairmen of Senate and House oversight committees — as well as a top House Democrat who will be wielding a gavel when his party takes power in January — called for the White House to provide more information about the email account and the nature of the messages President Donald Trump's daughter exchanged. The moves renewed Republican-led congressional probes that had languished since last year when reports by Politico revealed that Ivanka Trump's husband, Jared Kushner, and other White House officials had been using private email for government purposes in possible violation of the Presidential Records Act and other federal record-keeping laws. The report prompted Sen. Ron Johnson, who chairs the Senate Homeland Security and Governmental Affairs committee, and Rep. Trey Gowdy, the outgoing chair of the House Oversight and Government Reform committee, to send letters to the White House requesting a written response and briefing. They are asking for the White House to provide an accounting of the official emails exchanged on Ivanka Trump's personal account and to certify that the emails had been preserved according with federal law. The action came the same day Rep. Elijah Cummings of Maryland, the likely incoming chairman of the House Oversight panel, said he would pressure Trump's administration to turn over records about the use of private email for public business by Ivanka Trump, Kushner and other senior officials. The Senate Homeland Security and House Oversight investigations into private email were launched in 2017. That October, the White House dispatched counsel's office lawyers to brief the committees. But the attorneys refused to identify any officials who had used private email for official business. At the time, the White House lawyers told the House committee they couldn't provide additional information on specific employees while an internal review was under way, according to a letter from Cummings. The White House has since not shared the findings of that review with Congress.